Step into a splendid experience when you arrive at Hotel Sparsh Inn. This modern and elegant hotel puts comforts of guests at paramount importance, promising a memorable stay. 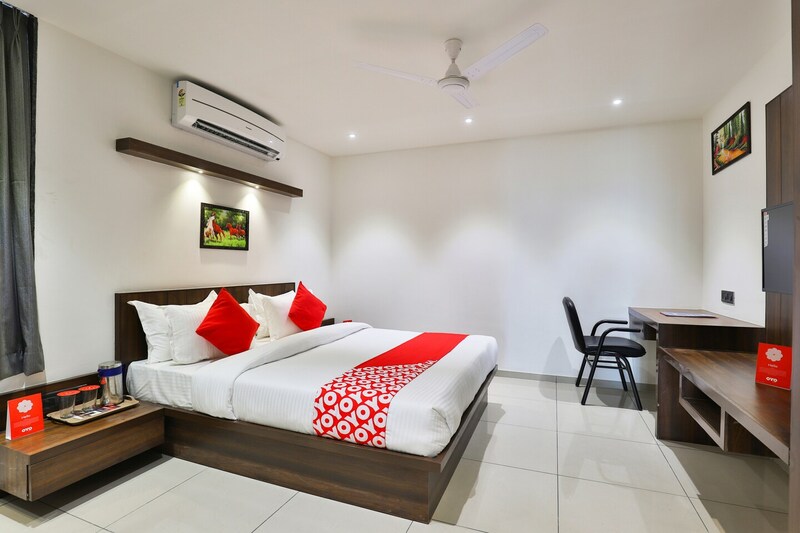 The tastefully decorated and spacious rooms are fitted with a number of basic amenities. The interiors are comfortable and welcoming. Guests can access the free Wi-Fi available at the hotel. Laundry services can also be availed. There are many restaurants in the vicinity with varied cuisines choices that cater to the gastronomic needs of the guests. There are various tourist attractions within driving distance including the Adalaj Stepwell.